Living with Your Parents: Should You Stay or Should You Go? Are my student loan payments tax deductible? My friend and I share an apartment. Will her renters policy cover my possessions? How long am I covered under my parents' health insurance policies? Do I need to insure a car that's worth only a few hundred dollars? Which is better, an HMO or a PPO? I don't own a car, but occasionally I borrow my friend's. I'm buying my first car. What should I look for in an insurance company? How do I determine how much renters insurance I need? I'm having trouble paying my student loans. What should I do? I'm looking for a job. How can I tell if an employer is offering a good insurance benefit package? Will Social Security be around for me? I'm currently on my parent's health plan. What do I do when I turn 26? What is the difference between a W-2 form and a W-4 form? Note:Don’t confuse a money market mutual fund with a money market deposit account. An investment in a money market mutual fund is not insured or guaranteed by the FDIC. Although the mutual fund seeks to preserve the value of your investment at $1 per share, it is possible to lose money by investing in the fund. Note:When considering a money market mutual fund, be sure to obtain and read the fund’s prospectus, which is available from the fund or your financial advisor, and outlines the fund’s investment objectives, risks, fees, expenses. Carefully consider those factors before investing. If you rent a house or an apartment, you might think you don’t need insurance because you don’t own the building. After all, your landlord probably has coverage. But your landlord’s insurance covers only the building, not the contents. Without insurance of your own, you could be left with nothing in the event of a fire or burglary. That’s why you need renters insurance (HO-4), a special kind of homeowners insurance. It provides no coverage for the building itself. Instead, it covers your personal possessions and protects you against liability claims if you rent a house or apartment. Keep in mind that most renters insurance policies specifically exclude certain perils (e.g., earthquakes, flooding). As a result, you may need to purchase a separate policy to insure your possessions against damage caused by these hazards. Property coverage levels typically start somewhere around $15,000 and go up from there. As you increase your coverage level, your premiums increase as well. An insurance professional can help you determine the amount of coverage that you need. Or, you can visit one of the many insurance websites for more information. These may sound like highly technical terms, but they are actually very important in determining how much money you will get if you ever have to file a claim. When you get a quote from your insurance agent, make sure you know which type of coverage is being described. Actual cash value coverage reimburses you for only the amount that your property was worth at the time it was stolen, damaged, or destroyed. This means that if all of your clothes suffer smoke damage in a fire, your insurance company probably will pay as much as you could’ve made at a yard sale–not the $4,000 you spent over the last couple of years to create the perfect wardrobe. Replacement cost coverage, by comparison, reimburses you for the amount that it will cost to replace your property. If you bought a $400 television two years ago, you’ll receive enough money to go out and buy another television just like the old one. You will probably have to replace the lost property with your own money and submit the receipt before you receive compensation. Nevertheless, replacement cost coverage typically pays significantly more than actual cash value coverage. Renters insurance also provides liability coverage. A typical renters insurance policy covers you for accidents and injuries that occur in your home, as well as accidents outside of your home that are caused by you or your property. (This does not include automobile accidents.) This liability coverage includes legal defense costs, if you are taken to court over such an accident. Standard levels of liability coverage are $100,000, $300,000, and $500,000. The amount of liability coverage that you need depends on your individual circumstances. The cost of renters insurance varies greatly depending on where you live, the construction of the building, your deductible, and how much insurance coverage you need. But renters insurance is much less expensive than homeowners insurance. On average, you will pay somewhere between $100 and $300 annually for a basic policy providing about $30,000 worth of coverage for your property. Replacement cost coverage is somewhat more expensive than actual cash value coverage, but it is usually worth the extra money. You’re shopping for your first car and looking for deals. Unfortunately, there’s one thing you probably won’t be able to get a deal on–your auto insurance. That’s because single drivers under age 25 are in the highest risk category of all drivers under age 70, and consequently, they pay the highest premiums. Although you can’t change your age, you might be able to take certain steps to make your premiums more affordable. The collision and other-than-collision (comprehensive) coverages in your auto policy have deductibles, which is the amount of money you’ll need to pay upfront before your insurance kicks in. If you raise your deductibles, your premiums should come down. However, before you agree to this, make sure you’ll be able to pay a higher share of the repair bill. Keep in mind that the deductibles may differ for collision and other-than-collision coverage. For example, there is often no deductible for glass breakage under other-than-collision losses. If you’re driving an older car, paying for physical damage coverage (collision and other than collision) may be a waste of money. For example, assume your car’s current value is $1,000, the same as your current deductible. If your car is stolen, the insurance company will reimburse you for the value of the car, minus your deductible–in other words, nothing. And in an accident, you’ll be responsible for all repairs up to $1,000, and the insurance company will reimburse you for any repairs over $1,000, up to the value of the car–again, nothing. By dropping your physical damage coverage, you can save some money on premiums. Run the numbers yourself, or get help from your agent. A four-cylinder sedan with automatic seat belts, air bags, and antilock brakes is almost always less expensive to insure than an eight-cylinder sports coupe with no safety features, even if the cars are the same year and similarly priced. If insurance costs are an issue, resist the urge to buy that shiny hot rod. Instead, select a car with more safety features that’s in a lower risk category. Ask your agent for specific recommendations. If you live at home with your parents and continue to drive their car, you’ll be eligible to remain a named insured on their auto policy. If your parents have safe-driver and multiple-car discounts, they’ll probably get a better rate than you could if you owned your own car and purchased your own policy (though their total cost will depend in part on the cars they own and your driving record). However, in some cases, your parents may enjoy a significant drop in their policy premiums once you’re taken off their policy. If so, your family might do better by setting you up with an older model car and an individual policy without physical damage coverage. If you’re like most 20-somethings, you might have a few bucks in the bank, your car, and some other personal possessions, but you don’t have significant assets that could be seized if you were sued after a car accident. In this case, the minimum auto insurance coverage that your state’s laws or your lender requires is probably sufficient to protect you in the event of an accident. Statistics show that the vast majority of accident claims fall within those coverage amounts. If you do find yourself in the situation of owing a large sum of money as a result of an auto accident, you will be basically “judgment proof” because you’ll have no real assets for anyone to take. Accordingly, you may wish to avoid paying high premiums for high levels of coverage when there’s little or no potential benefit. However, if you’re a 20-something who has significant assets, you should seriously consider coverage that will minimize your personal exposure and protect you, your family, and your assets. Your agent can give you guidance. Although no one gets married just to save money on car insurance, you should know that when you do make your vows, you and your spouse will, for the most part, be considered less risky drivers than single individuals. As a result, your insurance company will send you a wedding present in the form of lower premiums. Also, when you reach age 25, you hit a milestone in the eyes of most auto insurers and step into a new, slightly lower risk category. Everything else being equal, that means a lower rate. If you’re considering changing jobs, you’re not alone. Today, few people stay with one employer until retirement. It’s likely that at some point during your career, you’ll be looking for a new job. You may be looking to make more money or seeking greater career opportunities. Or, you may be forced to look for new employment if your company restructures. Whatever the reason, you’ll eventually be faced with an important decision: When you receive an offer, should you take it? You can find the job that’s right for you by following a few sensible steps. What if the salary you’ve been offered is less than you expected? First, find out how frequently you can expect performance reviews and/or pay increases. Expect the company to increase your salary at least annually. To fully evaluate the salary being offered, compare it with the average pay of other professionals working in the same field. You can do this by talking to others who hold similar jobs, calling a recruiter (i.e., a headhunter), or doing research at your local library or on the Internet. The Bureau of Labor Statistics is a good source for this information. Next, ask about bonuses, commissions, and profit-sharing plans that can increase your total income. Find out what benefits the company offers and how much of the cost you’ll bear as an employee. Don’t overlook the value of good employee benefits. They can add the equivalent of thousands of dollars to your base pay. Ask to look over the benefits package available to new employees. Also, find out what opportunities exist for you to move up in the company. This includes determining what the company’s goals are and the type of employee that the company values. Will you be better off financially if you take the job? Will you work a lot of overtime, and is the scheduling somewhat flexible? Must you travel extensively? Consider the related costs of taking the job, including the cost of transportation, new clothes, a cell phone, increased day-care expenses, and the cost of your spouse leaving his or her job if you are required to relocate. Also, take a look at the company’s work environment. You may be getting a good salary and great benefits, but you may still be unhappy if the work environment doesn’t suit you. Try to meet the individuals you will be closely working with. It may also be helpful to find out something about the company’s key executives and to read a copy of the mission statement. You’ve spent a lot of time and energy researching and evaluating a potential job, but the hardest part is yet to come: Now that you have received a job offer, you must decide whether to accept it. Review the information you’ve gathered. Think back to the interview, paying close attention to your feelings and intuition about the company, the position, and the people you came in contact with. Consider not only the salary and benefits you’ve been offered, but also the future opportunities you might expect with the company. How strong is the company financially, and is it part of a growing industry? Decide if you would be happy and excited working there. If you’re having trouble making a decision, make a list of the pros and cons. It may soon become clear whether the positives outweigh the negatives, or vice versa. Sometimes you really want the job you’ve been offered, but you find the salary, benefits, or hours unfavorable. In this case, it’s time to negotiate. You may be reluctant to negotiate because you fear that the company will rescind the offer or respond negatively. However, if you truly want the job but find the offer unacceptable, you may as well negotiate for a better offer rather than walk away from a great opportunity without trying. The first step in negotiating is to tell your potential employer specifically what it is that you want. State the amount of money you want or the exact hours you wish to work. Make it clear that if the company accepts your terms, you are willing and able to accept its offer immediately. What happens next? It’s possible that the company will accept your counteroffer. Or, the company may reject it, because either company policy does not allow negotiation or the company is unwilling to move from its original offer. The company may make you a second offer, typically a compromise between its first offer and your counteroffer. In either case, the ball is back in your court. If you still can’t decide whether to take the job, ask for a day or two to think about it. Take your time. Accepting a new job is a big step. If you’ve finished college within the last few years, chances are you’re paying off your student loans. What happens with your student loans now that they’ve entered repayment status will have a significant impact — positive or negative — on your credit history and credit score. One way to find out is to pull a copy of your credit report. There are three major credit reporting agencies, or credit bureaus — Experian, Equifax, and Trans Union — and you should get a copy of your credit report from each one. Keep in mind, though, that while institutions making student loans are required to report the date of disbursement, balance due, and current status of your loans to a credit bureau, they’re not currently required to report the information to all three, although many do. If you’re repaying your student loans on time, then the gorilla is behaving nicely, and is actually helping you establish a good credit history. But if you’re seriously delinquent or in default on your loans, the gorilla will turn into King Kong, terrorizing the neighborhood and seriously undermining your efforts to get other credit. Always make your student loan payments on time. Otherwise, your credit score will be negatively affected. To improve your credit score, it’s also important to make sure that any positive repayment history is correctly reported by all three credit bureaus, especially if your credit history is sparse. If you find that your student loans aren’t being reported correctly to all three major credit bureaus, ask your lender to do so. But even when it’s there for all to see, a large student loan debt may impact a factor prospective creditors scrutinize closely: your debt-to-income ratio. A large student loan debt may especially hurt your chances of getting new credit if you’re in a low-paying job, and a prospective creditor feels your budget is stretched too thin to make room for the payments any new credit will require. Moreover, if your principal balances haven’t changed much (and they don’t in the early years of loans with long repayment terms) or if they’re getting larger (because you’ve taken a forbearance on your student loans and the accruing interest is adding to your outstanding balance), it may look to a prospective lender like you’re not making much progress on paying down the debt you already have. Pay off your student loan debt as fast as possible. Doing so will reduce your debt-to-income ratio, even if your income doesn’t increase. If you’re struggling to repay your student loans and are considering asking for a forbearance, ask your lender instead to allow you to make interest-only payments. Your principal balance may not go down, but it won’t go up, either. If you’re really strapped, explore extended or income-sensitive repayment options. Extended repayment options extend the term you have to repay your loans. Over the longer term, you’ll pay a greater amount of interest, but your monthly payments will be smaller, thus improving your debt-to-income ratio. Income-sensitive plans tie your monthly payment to your level of income; the lower your income, the lower your payment. This also may improve your debt-to-income ratio. If you have several student loans, consider consolidating them through a student loan consolidation program. This won’t reduce your total debt, but a larger loan may offer a longer repayment term or a better interest rate. While you’ll pay more total interest over the course of a longer term, you’ll also lower your monthly payment, which in turn will lower your debt-to-income ratio. If you’re in default on your student loans, don’t ignore them — they aren’t going to go away. Student loans generally cannot be discharged even in bankruptcy. Ask your lender about loan rehabilitation programs; successful completion of such programs can remove default status notations on your credit reports. You vaguely remember signing a form every year at college registration time. Now that you’ve graduated, it’s all become painfully clear–those forms were promissory notes detailing your student loan obligations. Your loans aren’t going away, and you’ll want to repay them as quickly as possible. So whether you have a small sum or a small fortune to pay off, it’s helpful to brush up on some student loan basics. After you graduate, you’ll probably have a lot to think about–deciding where to live, finding a job, renting an apartment. Fortunately, you don’t have to add student loans to your list, at least not right away. Thanks to the grace period built into most student loans, you’ll likely get anywhere from six to nine months before you need to start repaying your loans. This gives you some breathing room to get financially settled. Graduated repayment plan: With a graduated plan, your payments start out low in the early years of the loan but increase in later years (the term is still 10 years). This plan is tailored to individuals with relatively low current incomes (e.g., recent college graduates) who expect their incomes to increase in the future. However, you’ll ultimately pay more for your loan than you would under the standard plan, because more interest accumulates in the early years of the plan when your outstanding loan balance is higher. Extended repayment plan: With an extended plan, you extend the time you have to repay your loan, usually from 12 to 30 years, depending on the loan amount. Your fixed monthly payment is lower than it would be under the standard plan, but again, you’ll ultimately pay more for your loan because of the interest that accumulates under the longer repayment period. Note: Many lenders allow you to combine an extended plan with a graduated plan. Income-based repayment plan: With an income-based repayment (IBR) plan, your monthly loan payment is based on your annual discretionary income. The federal government offers a PAYE plan (Pay As You Earn) and a REPAYE plan (Revised Pay as You Earn). Generally, undergraduate borrowers who qualify will pay 10% of their discretionary income toward their student loans each month, and after 20 years of on time payments, the remaining balance may be forgiven (payments may be forgiven after 10 years for those in certain public interest jobs and after 25 years for graduate school borrowers). For more information, visit the federal government’s student aid website at studentaid.ed.gov. To pick the best repayment option, you’ll need to determine the amount of discretionary income that you have to put toward your student loan each month. This, in turn, requires you to make a budget and track your monthly income and expenses. At times, you may find it financially difficult or impossible to repay your student loan. The worst thing you can do is ignore your payments (and your lender) completely. The best thing you can do is contact your lender and apply for a deferment, forbearance, or cancellation of your loan. Deferment: With a deferment, your lender grants you a temporary reprieve from repaying your student loan based on a specific condition, such as unemployment, temporary disability, military service, or a return to graduate school on a full-time basis. For federal loans, the federal government pays the interest that accrues during the deferment period, so your loan balance won’t increase. A deferment usually lasts six months, and you are limited in the total number of deferments you can take over the life of the loan. Cancellation: With a cancellation, your loan is permanently wiped off your list of financial obligations. It’s not easy to qualify for a cancellation, though. Situations when this may be allowed are the death or permanent total disability of the borrower, or if the borrower takes a job teaching needy populations in certain geographic areas. Typically, student loans can’t be discharged in bankruptcy. Remember, these things are never automatic. You’ll need to fill out the appropriate application from your lender, attach any supporting documentation, and follow up to make sure that your application has been processed correctly. If your idea of organization is stuffing your random assortment of student loan papers into your sock drawer, or not keeping them all, think again. Repaying your student loans is a serious matter, and you’ll need to stay on top of it. It’s important to keep accurate, accessible records. Open a file folder for each loan, and file any accompanying paperwork there, such as copies of promissory notes, coupon booklets, correspondence from your lender, deferment and/or forbearance paperwork, and notes of any phone calls. On the bright side, you might be able to deduct some or all of the student loan interest you pay on your federal tax return. In 2018, if you’re a single filer with a modified adjusted gross income (MAGI) under $65,000 or a joint filer with a MAGI under $135,000, you can deduct up to $2,500 of student loan interest that you pay during the year. A partial deduction is available to single filers with a MAGI between $65,000 and $80,000 and joint filers with a MAGI between $135,000 and $165,000. There are a couple of hurdles, though. You must have incurred the loans when you were at least a half-time student, and you can’t take the deduction if you’re claimed as a dependent on someone else’s tax return. If you paid $600 or more of interest to a single lender on a qualified student loan during the year, you should receive Form 1098-E at tax time from your lender, showing the amount of student loan interest you’ve paid for the year. For more information, see IRS Publication 970. You’re an adult, and that distinction comes with some privileges, benefits, responsibilities, and choices to make, including the potential decision of whether to live with your parents or move out. Not surprisingly, there are pluses and minuses to either option. If you’re right out of school or between jobs, you may not have the income to afford a place of your own. On the other hand, moving back home might not be realistic for a number of reasons. There may not be available accommodations at your parents’, your folks may have moved, or their home isn’t close to your job or school. Not having a choice may pose other issues, but assuming you do have the choice of living at home or on your own, here are some things to consider. Will there be terms and conditions? What are the terms? Will you be expected to pay rent and, if so, how much and for how long? When will you be expected to move out: Once your loans are paid off, when you have a steady income, when you reach a certain age? Aside from or in addition to rent, will you be expected to pay for other things such as food and utilities? What are the expectations? Do your parents expect you to help around the house with cleaning, shopping, or doing other chores? Will they have rules on whether or when you can entertain guests, or how late you and your companions can hang out, so to speak? Once you hash out all the terms, conditions, and expectations, you will be in a better position to make the decision on whether to move back home or find your own place. As you think about what to do, you’ll probably find that each option has its advantages and disadvantages. Just having use of a washer and dryer is enough to tip the scales in favor of moving back home. The alternative is probably using a public laundromat, which may be unclean, have machines that don’t work well (if they work at all), and requires you to stay on the premises while your clothes are semi-cleaned out of fear someone may swipe your favorite pair of jeans. It’s your fortress of solitude (or at least it used to be), and you spent the better part of your life getting it exactly the way you want it. Also, instead of depending on frozen meals or fast food (and the pounds you’ll likely gain), you might have access to a well-stocked kitchen, unless you’re expected to buy and cook your own food. Living at home may not cost as much as living on your own, which may give you the chance to pay off school loans, car loans, and credit cards. And you might even be able save some money for things such as marriage, retirement, or your own preferred living accommodations. Unless you have a roommate, your place is your own private castle. You can entertain whomever and whenever you wish (as long as it’s legal), talk on the phone in tones above a whisper, and view your computer screen without fear of having someone looking over your shoulder. And if you’re so inclined, you might even be able to work from home or study without interruption. Your parents may have dedicated their adult lives to providing for you and your siblings (if any), but there comes a time when parents want to focus on their own lives. By moving out, you’re not only getting your own privacy, but you’re probably giving your parents some private space as well. Having a place of your own gives you the freedom to design it the way you want. You can live by your rules and make your own choices. It’s an opportunity to behave responsibly, which means you can’t always act on a whim without thinking about the consequences of your decisions. But the freedom to make your own decisions can come with a price, and you won’t have your parents to blame if you make a wrong choice. Living on your own means you’re now financially responsible for your well-being, which means you’ll have to pay for your housing, food, clothing, utilities, cable TV, transportation, etc. Of equal if not greater importance, you’ll have to establish and maintain a budget, which is tantamount to making ends meet. As you can see, there are many factors to consider when deciding whether to live at home or on your own. The decision may not be as easy as it first appears. And remember, in either case, it’s your decision, and there are responsibilities attached to either choice. Without an adequate emergency fund, a period of crisis could be financially devastating. Many financial professionals suggest that you set aside three to six months’ worth of living expenses for emergencies. The actual amount, however, should be based on your individual circumstances. Do you have a mortgage? Do you have short-term and long-term disability protection? Other factors you need to consider include job security, your health and income. Be sure to review your cash reserve periodically. Since personal and financial circumstances often change, you’ll want to make sure your cash reserve fits your current needs/situation. To reduce your spending, you first need to know where your money goes. Start out by keeping track of all of your expenses for a month. None are too small or insignificant: the daily newspaper, coffee on the way to work, an extra gallon of milk, that burger at the fast-food outlet. Next, categorize the expenses so you can see what you spend and where you spend it. Be sure to factor into your monthly expenses a prorated portion of the annual cost of your irregular expenses (e.g., clothes, gifts, car maintenance, insurance premiums). Expenses generally fall into two categories. Essential expenses are ones you can’t avoid (e.g., rent, utilities, groceries, car insurance). Discretionary expenses are ones you choose to incur (e.g., eating out, entertainment, gifts, cigarettes, videos). Discretionary expenses are the ones over which you will have the most control. Do you buy a lot of books? Try the library instead. Take coffee or lunch to work rather than buy it once you get there. Limit eating out to once a week rather than twice. Quit smoking, or at least begin to cut back on the number of packs you smoke each week. Although essential expenses are fixed, there may be ways to reduce them. Make sure you shut off the lights and TV when you leave the room. E-mail your distant friends and relatives rather than call them long-distance. Change the oil in your car on a regular basis to avoid more costly repairs due to neglect. Review your insurance policies: Can you save on your premiums by taking a nonsmoker discount or increasing your deductibles? Clip the grocery store coupons, always shop from a list, and avoid the impulse items at the end of the aisles. Pick a realistic goal for your monthly spending reduction and try not to make too many changes all at once. To see how big a difference this can make, do the math. If you start by committing to reduce your spending by $2 a day, that’s $730 a year! Set the saved money aside, perhaps in a savings account for your planned vacation, or use it for a specific purpose, such as reducing debt faster. Debt consolidation can lead to an improvement in your credit rating by making your debt easier to manage. Sometimes, debt consolidation means taking a loan at a lower interest rate to pay off several smaller loans at higher interest rates. Making one payment instead of many may help you keep your debt under better control, make it easier for you to make timely payments, and thus improve your credit rating. Although managing your debt will improve your credit record in the long run, consolidation can have a more immediate impact. For example, if you have 10 accounts in default on your credit report, your lenders will consider you a bad credit risk. But if you can pay off those accounts with a consolidation loan, you have eliminated the problem. Your new credit report will now show that you cured the defaults and retired the debts. And you have only one open account–your consolidation loan. As long as you stay current on the consolidation loan payments, your credit rating will be viewed more favorably than before. Remember, your goal is to manage your debt by making your payments more affordable. You can do this by lowering your interest rate or increasing the number of months you have to pay off the debt. There is no point in consolidating if you don’t achieve one or both of these goals–you’ll want to be sure you can afford the consolidation loan and make the payments. Otherwise, you’ll end up back where you started. Although debt consolidation has its advantages, you must recognize that by extending the time to pay off your debt, you will ultimately be paying more in interest charges. Also, once you get a consolidation loan, you should consider closing some of your credit card accounts so that you can’t simply run up your bills again. One way is to call your existing lender and try to negotiate a lower rate. Often, the threat of losing a customer and the associated income from your finance charges can inspire a card company to accept a lower interest rate and keep the relationship. Negotiation is most effective if you have a stable payment history with the company. If your present card company won’t negotiate, you can transfer your existing balance to a new lender with a lower rate. Be careful, however, that it isn’t a teaser rate that’s offered for a few months and then will be raised higher than your existing rate. Ask for a clear accounting of what the rate applies to (e.g., balance transfers, new purchases, cash advances), as well as all other card limitations and penalties. Find out if there is a transaction fee before you agree to the transfer. Keep in mind that lenders are making it increasingly difficult to continuously “surf” for low credit card rates. Some card companies now restrict balance transfers during a set time (e.g., a year) after you sign up. If you try to transfer to another card during that period, you may be retroactively charged a higher rate. The least expensive way to buy a car is to pay cash for it, because with cash, you can buy only what you can afford, and you avoid paying the finance charges associated with a car loan. Nonetheless, the reality is that you may not be able to afford to pay cash for a new car. If you buy a used car with your cash, you may be saving the purchase price and the interest payments. However, you run the risk of the potentially higher cost of repairs, and you could also be buying someone else’s car problems. Conversely, financing your car allows you to pay off other debts with your cash. For example, suppose you have credit card debts charging interest at the rate of 18 percent and you can get a car loan at the rate of 10 percent. Here, it makes good financial sense to use your cash to pay off the debt with the highest interest rate and then take out a car loan at a lower interest rate. If you’re financing all or some part of your new car’s cost, and you want to calculate your monthly payment in advance, you will need to know the amount you are financing, the interest rate, and the loan term (i.e., the number of months to full repayment). If you decide to lease a car, it is a little more difficult to estimate the monthly payment because it’s based on the car’s expected depreciation over the lease term. That amount varies, depending on the make and model of the automobile. In either case, to get a better idea of what your monthly payment will be you can consult one of the many online financial calculators that are available on the Internet. It’s the old catch-22. You cannot establish a credit history without having credit, and you cannot get credit without a credit history. But if you work at it, this problem can be overcome. While you create a history, be sure your efforts will be reported to the credit bureaus. Use the credit history of a family member or friend to leverage yourself into credit in your own name. If you are added as a joint party or authorized user to another person’s credit card, the lender may report the account’s payment history on your credit report. If you have a checking account, ask your bank for overdraft protection (or cash reserve) privileges. With this feature added to your account, you can create credit by writing a check for an amount greater than the balance in your account (but not greater than the limit of your cash reserve line!). Alternatively, ask the bank for a small personal loan. As you repay these debts, you establish a credit history. Make sure the bank reports that history to the credit bureaus. Secured credit cards are also a good way to get started. Your credit line is secured by your deposit in the bank, minimizing the creditor’s risk. For example, if you deposit $500 in the bank, you get a credit card with a maximum limit of $500. As you use the card and make payments, you establish a credit history. These cards have high interest rates, but your goal is only to charge what you can afford to repay. As you repay the debt, you establish a repayment pattern seen by other creditors. You may also want to see if you qualify for a retail/department store charge card or gas card. Because these cards have lower credit limits and may be used only with the companies that issue them, the lending guidelines may be more liberal than those for major credit cards. If you still have difficulty obtaining credit in your own name, consider a collateralized or cosigned loan. With a collateralized loan, the item you pledge as collateral (such as a car) minimizes the risk to the credit grantor. With a cosigned loan, your cosigner is equally liable for the balance. Spreading the responsibility for repayment in this fashion minimizes the lender’s risk. Successful repayment of these types of loans can then be used to establish your own credit history. Most people face this question at some time in their lives. Buying a home is part of the American dream. It’s also one of the biggest financial investments you’ll ever make. Before buying a house, remember that your lending institution will want proof that you have money saved for the down payment and closing costs. If your savings won’t cover these costs, you should probably continue to rent for the short term while establishing an ambitious savings plan. Remember, it’s not easy to buy and own a home. Many people continue to rent throughout their lives. But if you decide to buy a home, start saving now so that someday you will own the home of your dreams. Annual percentage rate (APR): What interest rate will apply to outstanding balances? If you plan to carry a balance, it’s especially important to choose a card that has a low APR. But don’t be fooled by a low introductory rate. It may apply for only a few months, and only to balance transfers, not new purchases. It’s essential to understand what rate will apply once the introductory period is over. Find out, too, if the APR will change over time. If the rate is variable, you can expect it to go up or down periodically because it’s tied to an index (often the prime rate) that changes. If the rate is fixed, it won’t fluctuate, but that doesn’t mean it will stay the same forever. A credit card issuer can change your rate at any time, as long as you’re given written notice 45 days in advance of the rate change. And find out what will happen to your APR if you make a late payment. Some card issuers send your rate skyrocketing if you pay your bill late. However, a creditor can only increase the rate on an existing balance if the account is 60 days past due. What’s more, the rate must be returned to what it was at the time of the increase once you’ve made six months of timely payments. Grace period: How long will you have to pay your balance in full before interest starts accruing? If you plan to pay off your balance every month, you’ll want to look for a card that offers a relatively long grace period (e.g., 25 to 30 days). Fees: What fees will apply? 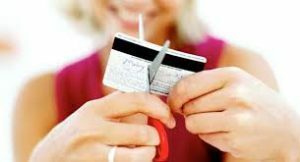 If you plan to pay off your balance every month, avoid signing up for a card that has an annual fee. If you plan to carry a balance, it may be worth paying a fee if the interest rate is low enough. And watch out for hidden transaction costs. Compare the fees you’ll be charged for transferring your balance, using your card to get a cash advance, exceeding your credit limit, or paying your bill late. Finally, even if you’ve carefully read through the offer, you may still have questions. If so, call the credit card issuer before signing an application. Your actual student loan payments aren’t deductible, but the interest portion might be, thanks to the student loan interest deduction. In 2018, the maximum deduction is $2,500. You don’t need to itemize to claim this deduction. First, the student loan on which you’re paying interest must be one that you incurred to pay college expenses when you were at least a half-time student. This requirement excludes part-time adult learners or other nontraditional students. Second, you must meet income limits. In 2018, to take the full student loan interest deduction, single filers must have a modified adjusted gross income (MAGI) below $65,000 and joint filers below $135,000. A partial deduction is available for single filers with an MAGI between $65,000 and $80,000 and joint filers with a MAGI between $135,000 and $165,000. Third, if you are claimed as a dependent on someone else’s return, you can’t take the deduction. If you are a dependent and your parent borrows money to pay for your college tuition, he or she may claim the student loan interest deduction. You should receive Form 1098-E from your lender showing the total amount of interest you paid for the year. If not, contact your lender to request this information. For more information on the student loan interest deduction, see IRS Publication 970. Repaying student loans is an important financial obligation. But doing so can take many years of dedication and sacrifice. First, understand your repayment terms, specifically the current term of your loan and the interest rate. Can you get a lower interest rate if the loan amount is automatically debited from your checking account each month? If you find yourself in financial difficulty and have federal student loans, the federal government offers several income-driven repayment programs (IBR) to certain borrowers that tie your monthly loan payments to the amount of your discretionary income and family size, with all debt being forgiven after a certain number of on-time payments. Research more to see if you qualify. As an alternative, you might consider an extended repayment plan or a graduated repayment plan. With an extended repayment plan, the loan term is extended more than ten years which will lower your monthly payment, but you’ll pay more interest over the life of the loan. With a graduated repayment plan, your monthly payments will start off lower, but then they will increase over time as your income hopefully increases and you are better able to afford the higher payments. If these choices aren’t available to you, you must find a way to budget for your student loan payments. Review your household income and expenses. Can you reduce your spending on entertainment, luxuries, and discretionary items and use these saved funds to pay your student loans? You are always permitted to prepay the principal of student loans, partially or in full, without penalty. If you have several loans, would consolidating your loans make the payment schedule easier? Check with your current lender to see what options you might have. And finally, consider your job. You may be surprised to discover that some or all of your indebtedness can be forgiven if you are employed in certain public-service sectors, teach in teacher-shortage areas, or go into the Peace Corps. Yes, but only with a private loan. There is no federal refinancing option for student loans, meaning that you can’t refinance federal or private student loans into a federal loan. However, you may be able to refinance your federal student loans and/or private loans into a new private loan. Generally, when you refinance a loan your interest rate may decrease, depending in part on market rates and your credit score. A lower interest rate is typically the main reason why borrowers attempt to refinance their loans. An online calculator can show you how much interest you’ll pay over the life of the loan at different interest rates. Keep in mind that if you refinance your student loans, your old loans will go away and you will be bound by the terms and conditions of your new private loan. If you had federal student loans, this means you will lose any income-based repayment options that might have been available to you because private loans generally don’t offer this type of repayment option. If you have federal student loans and you don’t want to lose any potential repayment options, or if you can’t find a suitable private loan to refinance, you might consider another option: federal loan consolidation. The federal government specifically offers a consolidation loan tailored to student loan borrowers. Loan consolidation is different from loan refinancing, even though under both options you replace your old loans with a new loan. With federal loan consolidation, your interest rate will not decrease, but you will have a single lender (the U.S. Department of Education) and a single monthly payment. To be eligible for federal loan consolidation, you must have at least one federal student loan in repayment, grace period, deferment, or default status. The interest rate on a federal consolidation loan is fixed for the life of the loan and based on the weighted average of the interest rates of the loans being consolidated, rounded up to the nearest one-eighth of a percent (0.125%), with a maximum rate of 8.25%. Borrowers who opt for a federal consolidation loan can choose from various repayment options to pay their new consolidation loan, including income-based repayment, extended repayment, and graduated repayment. If you choose the refinancing route instead and replace your federal loans with a new private loan, keep in mind that you won’t be able to consolidate the loan back into a federal student loan to get these repayment options. Finally, you might consider other refinancing options, such as a home equity loan or a loan against your 401(k) plan. However, you should carefully explore the advantages and disadvantages of these options before pursuing them. Unfortunately, renters insurance and other homeowners insurance policies are designed for single people and traditional families. So when unrelated people share a residence (in this case, you and your friend), insurance coverage can become complicated. Insurance laws on this topic vary from state to state, and policies vary from one company to the next. However, most insurance companies recommend that each tenant maintain a separate renters insurance policy to cover his or her personal property. Some insurance companies do allow multiple roommates to be listed on a single renters insurance policy. If your insurance company structures policies in this way, you and your roommate can purchase one renters insurance policy to cover all of your collective possessions. Shred preapproved credit card or loan applications, and those checks your credit card company mails you, before you throw them in the trash. If you want to buy a home with your partner, you may be able to qualify for a larger mortgage than if one partner alone applied for the loan. However, be aware that unmarried partners have some unique considerations that married couples don’t have. The laws dealing with the distribution of property when a couple splits up or a partner dies are few and vague when the couple is not married. So it’s crucial for unmarried partners to have a detailed written agreement regarding their respective ownership interests in the property and their intentions for distribution of the property if either partner should die or if the relationship ends. Both partners should also keep thorough and accurate records of their respective contributions. Joint tenancy with rights of survivorship means that when one partner dies, the surviving partner automatically owns the entire property, bypassing the probate process. This way of owning property may make it more difficult to sell your share of the property without your partner’s consent. However, it may also offer creditor protection because neither partner owns a separate share; instead, both own equal rights in the entire property. As tenants in common, you and your partner each can leave your portion of the property to whomever you choose in your wills. Creditors of tenants in common may have an easier time attaching the property than if it were owned jointly with rights of survivorship. You and your partner may decide that only one of you will own the property. However, if you choose individual ownership, beware. The person named on the deed will be able to sell the property without the consent or even the knowledge of the other partner. You can also choose to own the property in trust, with the trust agreement spelling out the rights and obligations of each partner. You’ll want to get advice from an experienced attorney on all of the ownership options available to you and your partner. You may be able to deduct all or part of the student loan interest you’ve paid during the year, assuming you meet the requirements. You may be able to deduct up to $2,500 each year from your gross income if you’ve paid interest on a qualified education loan for qualified higher education expenses during the year. To be eligible for the deduction, your modified adjusted gross income (MAGI) must fall below a threshold figure. For 2018, the deduction begins to phase out as your MAGI exceeds $65,000 if you’re single or $135,000 if you’re married and file jointly. It phases out completely when your MAGI exceeds $80,000 ($165,000 for married persons filing jointly). These amounts are indexed for inflation. No deduction is allowed if your filing status is married filing separately. How long am I covered under my parents’ health insurance policies? Do I need to insure a car that’s worth only a few hundred dollars? A standard auto insurance policy protects you from liability, property damage, and medical payment claims. Most states require car owners to purchase some level of liability and medical payments coverage (e.g., personal injury protection), while collision and other-than-collision (also known as comprehensive) coverage, which provide protection for damage to your car, remain optional. If you still owe money on your car, the financing company may require you to keep this optional coverage. But if you own your car, you may want to consider skipping the optional coverage altogether, since the deductible and premiums you’ll pay may amount to more than what your car is actually worth. The question really is, which type is better for you? If you’re able to choose between a health maintenance organization (HMO) and a preferred provider organization (PPO), you’ll need to evaluate the coverage that each offers and determine which one best suits your needs. Although both HMOs and PPOs are types of managed care systems, each manages health care differently. HMO members have to pick a primary care physician (PCP), who provides general medical care and referrals to specialists. Both the PCP and any specialists you see must belong to the HMO network. The PCP must approve your request to see a specialist. PPO members aren’t required to choose a PCP and can see a specialist without a referral. Out-of-network care (except for emergency care in some situations) is generally not covered by an HMO. A PPO won’t require you to receive care within the network, but you’ll save money if you do. For instance, the PPO may reimburse 90 percent of your health-care bill if you saw a doctor within the network, but only 70 percent of your bill if you saw a doctor outside the network. HMO members usually pay a small co-payment for care (e.g., $10), but aren’t required to meet an annual deductible. If you belong to a PPO, you may have to meet a deductible (especially for hospitalization) and pay a larger co-payment (e.g., $20) than an HMO member when you receive care. So what it boils down to is flexibility versus cost. If you routinely need to see specialists, travel a lot, or are willing to pay more to see whatever health-care provider you choose, then a PPO might be the right choice. But if saving money on health care is your main concern and you’re not worried about access to specialists of your choice, consider joining an HMO. I don’t own a car, but occasionally I borrow my friend’s car. Do I need my own auto insurance policy? Your friend’s auto insurance policy should cover you if you get into an accident. But if you want additional liability protection, you have the option of buying a nonowners policy that covers liability, medical payments, and uninsured/underinsured motorist coverage. This would give you added protection in case you cause an accident. You should discuss this insurance question with your friend and find out how much coverage he or she carries. Is the coverage just the required minimums, or has he or she purchased higher amounts of coverage? I’m buying my first car. What should I look for in an insurance company? You should look for a company that has been selling auto insurance for a number of years and has a strong reputation in the industry. You can learn a lot about different companies simply by talking to people you know and trust. How satisfied have your friends, family members, and coworkers been with their insurance companies’ level of customer service and handling of claims? A company’s reputation for paying claims in a timely manner will be very important when you have an accident, theft, or other loss. Word-of-mouth references will help you narrow down the field to the most service-oriented companies. There are several other issues to consider when shopping for an insurance company. For example, is the insurer financially stable? This is important because you want to be certain that the company you choose will be around for a long time and have no trouble paying its claims. A number of independent firms rate insurance companies based on their financial strength and other factors. Of course, you also want to make sure that a company can provide the auto insurance coverage you need at a good price. Premiums for the same coverage often vary widely among companies, so it pays to shop around. You should also find out what discounts and optional coverages are available from each insurer. In most cases, your best bet is to work with a good insurance agent or broker. One of these professionals will help you find a reputable company that can meet your coverage needs without straining your budget. However, be aware that you may be able to save money by buying auto insurance from a company that sells policies directly to consumers. If you choose this path, a variety of on-line and print resources are available that you can use to research companies and coverages. You can also contact your state insurance department for information on different companies. Renters insurance typically provides coverage for losses to your personal property, along with some level of liability protection. Most insurance companies have minimum policy amounts for personal property (e.g., $15,000, $30,000), so if you have relatively few possessions or if you don’t own many expensive items, that may just be enough coverage for you. To be sure, though, you should take an inventory of your personal property–things can really add up. Estimate how much it would cost if you had to replace everything you owned in your apartment all at once. As for liability protection, the standard coverage amount is usually around $100,000. The amount of liability coverage you should have depends on the assets you would like to protect (e.g., car, investments). Call your insurance agent for a quote–you’ll be surprised at how inexpensive renters insurance can be. To answer this question, you must decide how your money can work best for you. Compare the money you might earn on other investments with the money you would pay on your debt. If you would earn less on investments than you would pay on debts, you should pay off debt. Let’s assume that you have $1,000 in a savings account that earns an annual rate of return of 4 percent. Meanwhile, your credit card balance of $1,000 incurs annual interest at a rate of 19 percent. Your savings account thus earns $40, while your credit card costs $190. Your annual net loss is 15 percent, or $150, the difference between what you earned on the savings account and what you paid in interest on the credit card balance. It’s even worse when you consider the tax effect. The interest on the savings account is taxable, and you have to use after-tax dollars to pay your credit card bill. In the above example, it would be best to use your extra cash to pay down the high-interest debt balance. The same principle would apply if you were to invest your extra cash in a certificate of deposit (CD), mutual fund, or other investment. The first thing you need to do is to make your lender aware of your situation. Confronting the problem is probably the most beneficial thing you can do. If you are having financial difficulties or are otherwise unable to pay your student loans, you can temporarily postpone your loan repayment by requesting either a deferment or a forbearance from your lender. Although they are often seen as the same, deferment and forbearance are different options. With a deferment, your lender grants you a reprieve from your loan payments based on a specific condition such as unemployment, a temporary disability, a return to school, or a similar situation. Your lender can tell you which conditions qualify for deferment. In most cases, the federal government pays the interest on your loan so the balance does not increase during the deferred period. With a forbearance, your lender grants you — at its discretion — permission to reduce or stop your loan payment for a period of time. Interest continues to accrue on your loan, and you’ll still have to pay off both the accrued interest and the loan when you resume your payments. Although a deferment is preferable, a forbearance is often easier to get because it’s not governed by the type of your loan or the date you obtained it. A deferment and forbearance are usually granted for a six-month period. But there is usually a limit to the number of times they are granted during the course of your loan. You’ll need to apply for them with the appropriate form from your lender. You may also need to reapply periodically to maintain your eligibility. Another option if you are having trouble repaying your student loans is to investigate different repayment options. The standard ten-year repayment plan is not your only option. For example, under an extended repayment plan option, you extend the number of years you have to repay your loan. The result is a lower monthly payment, which might help you out of a financial jam now. However, keep in mind that you will pay more interest over the life of the loan due to the longer term. Or, consider one of the federal government’s income-driven repayment programs, or IBR. Under these programs, monthly student loan payments are based on discretionary income and family size, and borrowers can have their remaining debt forgiven after a certain number of on-time payments. Finally, you can try to have your student loans permanently canceled. This means that you don’t have to repay them at all; the loans are permanently removed from your financial obligations. However, cancellations don’t come easily. They are usually granted based on a specific condition, such as the borrower’s death or permanent disability, or based on certain types of employment, such as teaching in needy areas. Contact your lender to see what the rules are for loan cancellation. If you fail to pay, you’ll be in default on your student loans. Nonpayment can have a negative impact on your credit score, and the government can garnish your wages and intercept your tax refund for repayment of federal loans. Under Pay As You Earn (PAYE), borrowers who obtained their loans on or after July 1, 2007 and meet income guidelines will generally pay 10% of their discretionary income to their monthly loan payment, with any remaining debt forgiven after 20 years of timely payments. Under Revised Pay As You Earn (REPAYE), borrowers who obtained their loans at any time and meet income guidelines will generally pay 10% of their discretionary income to their monthly loan payment, with any remaining debt forgiven after 20 years of timely payments for undergraduate borrowers and 25 years of timely payments for graduate school borrowers. Under Income Contingent Repayment (ICR), borrowers who meet income guidelines will generally pay 20% of their discretionary income toward their monthly loan payment, with any remaining debt forgiven after 25 years of timely payments. Under any of these programs, borrowers in certain public interest jobs may be able to have their loans forgiven after 10 years under the federal Public Service Loan Forgiveness (PSLF) Program. For more information about any of these programs, including income guidelines, visit the Department of Education’s student aid website at studentaid.ed.gov. Ultimately, an employer is offering a good insurance benefit package if it’s one that appeals to you and meets your needs. But here are some specific things you might look for. Perhaps the most important piece is the health insurance offered. You’ll want coverage that adequately meets your medical needs. Hopefully, it will also allow you to continue seeing your current doctors and health-care providers. A complete package would offer dental, vision, and prescription drug coverage as well. And don’t forget to find out how much you’ll pay for health insurance–ideally, the employer will pay all or most of the premium cost for a single person. Most large employers offer some group life insurance coverage. A basic package would provide term insurance coverage on your life in an amount at least equal to your annual salary. A more generous package would provide coverage for your spouse, domestic partner, or children, and would allow you to purchase low-cost supplemental life insurance. If you get sick or injured and can’t work, disability insurance replaces a portion of your income. Many employers offer short-term disability insurance that covers you for up to two years, but a good benefit package will also include long-term disability coverage. Again, the best package is one for which the employer pays all or most of the insurance premium. Finally, a good benefit package might also offer you the chance to buy other types of coverage (e.g., long-term care or auto insurance) at group rates. With the news full of reports about Social Security’s uncertain future, you might wonder whether you will ever benefit from the Social Security taxes you pay. Although this popular social insurance program faces financial challenges, and some reform is certainly likely, Social Security is not only likely to be there for you in the future, it’s there for you right now. Social Security is not just for retirees. The program also provides valuable protection to younger people. For example, if you become disabled at any age and can no longer work, you may be eligible to receive Social Security disability benefits. If you have a family, your spouse and children may also be eligible to receive certain types of benefits based on your earnings record, including survivor benefits. The fiscal challenges that Social Security faces are due in part to shifts in demographics. Social Security is a pay-as-you-go system. Taxes collected from workers, self-employed individuals, and employers are deposited into the Social Security trust funds and invested in securities guaranteed by the federal government. These funds are then used to pay today’s Social Security benefits. Over the coming years, there will be fewer workers paying Social Security taxes and trust fund (OASI) reserves will need to be used to make up the shortfall in payroll tax revenue. Once OASI reserves are depleted (which is projected to occur in 2035), payroll tax revenue alone should still be sufficient to pay about 75% of scheduled benefits, even if no changes are made.1 However, many proposals to reform Social Security are on the table. With most Americans dependent on Social Security, it’s likely that action will be taken. Keep in mind, too, that Social Security was never meant to be the only source of income for people in retirement. You’ll want to save for retirement on your own, and start as soon as possible, even if retirement is many years away. You can find out more about potential benefits by checking your Social Security Statement. To access your statement, sign up for a my Social Security account at the Social Security Administration’s website, ssa.gov. Your statement contains a detailed record of your earnings, as well as estimates of retirement, survivor, and disability benefits. If you’re not registered for an online account and are not yet receiving benefits, you’ll receive a statement in the mail every year, starting at age 60. I’m currently on my parent’s health plan. What do I do when I turn 26? Under the Affordable Care Act, young adults up to age 26 are eligible for dependent coverage under a parent’s health plan. Once you reach the age of 26, you are no longer eligible for dependent coverage unless the health plan offering dependent coverage or your state of residence specifically extends that coverage to dependents beyond age 26. If you lose coverage under your parent’s plan, you may qualify for special enrollment through your employer’s plan or your spouse’s health plan in another employer plan for which you are eligible (including health coverage through your job or your spouse’s job). You generally must enroll within 30 days from the date you are no longer covered as a dependent. If you’re covered by your parent’s Health Insurance Marketplace plan, you may qualify for individual coverage through the Marketplace during a special enrollment period. This special enrollment period extends up to 60 days before and 60 days after your birthday. If you apply for coverage through the Health Insurance Marketplace, you may qualify for premium tax credits and other savings based on your own income. You may also have other options including student health insurance if you’re attending school. And remember, you always have the option to find your own health insurance plan before age 26. Keep in mind that you are required to have minimum essential health coverage. If you don’t, you must pay a fee for any month that you didn’t have health insurance when you file your federal income tax return, unless you qualify for an exemption. You probably know that Forms W-2 and W-4 are related to income taxes. And chances are you’ve filled out a W-4 form at least once and have received a W-2 form from your employer every year. But do you really understand the purpose each form serves? Simply put, your employer uses the W-2 form to report to you and the IRS both the wages you earned and the taxes that were withheld during the year. You need to submit this form, along with your tax return, when it’s time to file and pay your taxes. The W-2 form also reports other data, including information on dependent care benefits, retirement plan contributions, and other employee benefit information. Your employer is required to fill out the W-2 form and give it to you no later than January 31 following the end of each tax year. You should expect to receive three copies of the completed W-2 form from your employer to use for your records as well as federal and state tax filing purposes. Your employer will also send a copy to the Social Security Administration by the end of February annually. The W-4 form is used to determine the amount of income tax that your employer should withhold from your regular pay. Typically, you complete this form when you start work with a new employer. You will also want to fill out a new W-4 when your personal or financial situation changes to ensure that the proper amount of income tax is withheld from your paycheck. You can learn more about these tax forms by visiting irs.gov.